Laurence Henry, the recent winner of BBC’s Masterchef the Professionals series returned to ICSA Member Ashburton Chefs’ Academy in Devon to share his experiences of the show and his career as a top flight chef. Laurence graduated from the Ashburton Chefs Academy in 2012 after completing a Diploma in Culinary Arts as a young, aspiring chef. Since then he has forged a career working in some of the UK’s best Michelin starred kitchens, including The Maze in London, and 2 Michelin Starred Restaurant Sat Bains in Nottingham where he currently works. In December 2018 Laurence beat a highly competitive field of chef talent to be crowned Masterchef The Professionals Champion 2018 on the flagship BBC cookery show. Laurence showcased his talents in a chef demonstration assisted by his former tutor and chef director of the Chefs Academy, Darrin Hosegrove. “We are all so proud of Laurence’s achievements since graduating and to win Masterchef The Professionals just shows what a rare talent he is. We were delighted to get him back to Ashburton to inspire our latest intake of chef students at the Academy.”, said Chef Darrin. 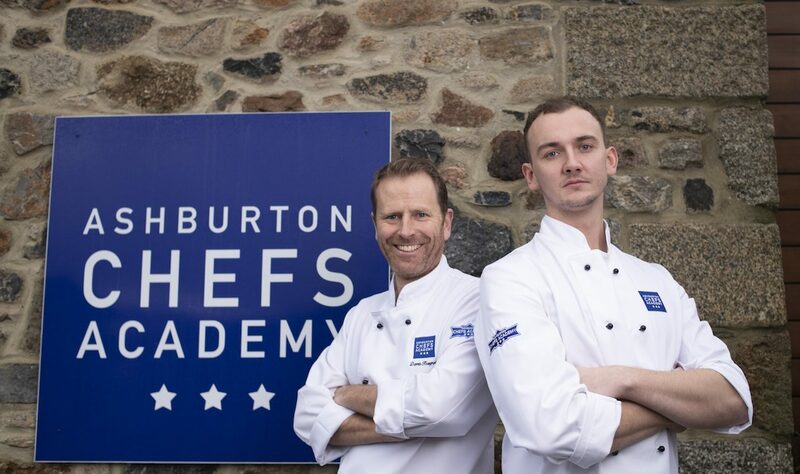 Located on the edge of Dartmoor National Park in Devon, The Ashburton Chefs Academy is one of the UK’s leading private culinary schools with qualifications in the Culinary Arts and Patisserie.